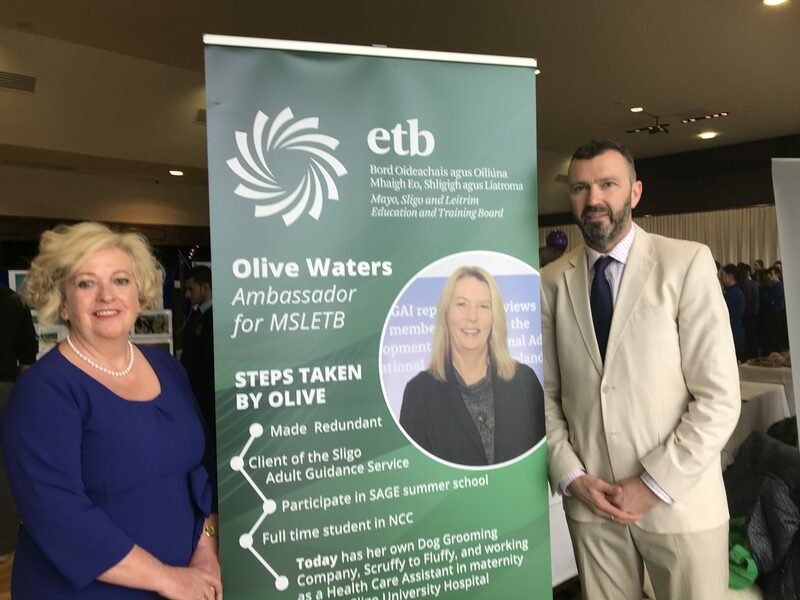 Olive Waters, a former student of North Connaught College is the Ambassador for Mayo, Sligo & Leitrim Education and Training Board. She was recently ‘unveiled’ at a recent Awards Ceremony hosted by MSLETB. Alongside the poster is Josephine McGread, Co-ordinator/Guidance Counsellor with MSLETB and James Hardiman, Principal at North Connaught College, Tubbercurry.